Planning a weekend in San Diego seems easy, especially if you live in Southern California. All you need is a hotel reservation, a look at an app or two, a quick question to your friends on social media, and off you go. In fact, some experts say that kind of minimal preparation and being impulsive can lead to big wins in life in general. That may be true, but if you apply their philosophy to planning your San Diego weekend getaway, you may not experience those "Wow!" moments that you were hoping for. This guide is designed to help you get the most of your escape, with all the tips and insights you need to have a weekend that you'll be bragging about for months. Is San Diego the Right Place for You? If you don't know what San Diego looks like, take a quick look at these pictures of their gorgeous beaches and then check out downtown. San Diego is an especially popular getaway for families. To get some kid-friendly ideas, use the guide to visiting San Diego with kids. It's also an excellent place for beach-lovers. Shoppers like to go bargain-hunting in nearby Tijuana. San Diego is also a great place for water sports, where you can play in the ocean or spend the day in a large city park full of bays and lagoons. Start your planning by checking out the top things to do in San Diego. If you've been to San Diego before and looking for something different, try these things you didn't know you could do in San Diego. If you're visiting San Diego in the spring, an Instagram favorite is the Carlsbad Flower Fields, where the colorful fields of ruffly-flowered ranunculus are as pretty as any botanical garden. If you're going in the summer, you'll find lots of fun things to do on a summer night in San Diego. San Diego weather is great almost any time, but it isn't perfect. In fact, it does rain in San Diego, especially in winter. If rain happens to your weekend, try some of these things to do on a rainy day in San Diego. May and June may also bring lots of coastal fog (sometimes called May Gray and June Gloom) that can linger all day long. To find out more and what causes June Gloom, check out this guide. The annual Comic-Con convention draws so many people that it's nearly impossible to get a hotel room. Check their dates and avoid them if you can. The Gaslamp Quarter is popular, but there are plenty of reasons to avoid it. The restaurants are expensive with poor service, and it's almost impossible to find parking in the area. If you like history and 1800s architecture, it might be worth a quick trip, but find somewhere else to eat. San Diego is a big metropolitan area and sprawls over more than 300 square miles. And that's just the city itself. Tourist areas are more spread out than in some other places, and public transport is thin. Your best bet is to have an automobile, but you could also use a ridesharing service to get to places that are otherwise hard to reach. The one exception is the San Diego Safari Park which is so far from downtown that any transportation other than driving yourself would be almost as expensive as your tickets. If you are planning to visit Tijuana, you'll have no trouble getting into Mexico. To get back, U.S. citizens should take their passport because a Driver's License isn't enough. If you are not a U. S. citizen, a passport or green card is essential. You can use this guide to find out everything you need to know for a smooth and easy border crossing. Few restaurants in San Diego have a dress code. Unless you have an extraordinary evening planned, leave your fancy pants clothing at home and relax. Fill the empty spot in your bag with an extra jacket instead. Evenings near the ocean can be cooler than you may expect, validating the tired old advice to dress in layers. San Diego is bigger than you might think and the best place to stay depends on what you're going to do. 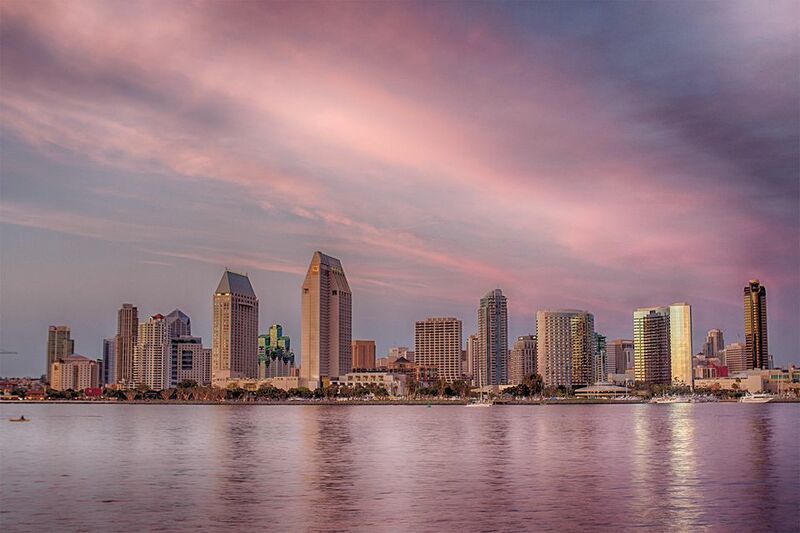 Start with this: How to decide where to stay in San Diego. You can also check the recommended hotels and campgrounds. San Diego is about 130 miles from Los Angeles and 330 miles from Las Vegas. Find out how to get there from Las Vegas, how to travel between San Francisco and San Diego, and ways to get to San Diego from LA. San Diego's airport is called Lindbergh Field (SAN).